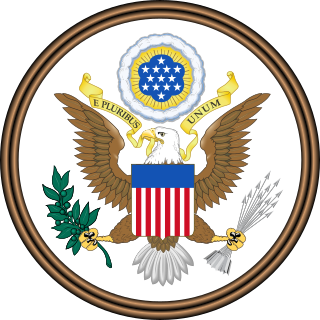 Title 5 of the United States Code outlines the role of government organization and employees in the United States Code. It also is the Title that specifies Federal holidays (5 U.S.C. § 6103). The Code of Laws of the United States of America is the official compilation and codification of the general and permanent federal statutes of the United States. It contains 53 titles. The main edition is published every six years by the Office of the Law Revision Counsel of the House of Representatives, and cumulative supplements are published annually. The official version of those laws not codified in the United States Code can be found in United States Statutes at Large. Title 5 of the United States Code outlines the role of government organization and employees in the United States Code. It also is the Title that specifies Federal holidays. Executive Schedule is the system of salaries given to the incumbents of the highest-ranked appointed positions in the executive branch of the U.S. government. The President of the United States appoints incumbents to these positions, most with the advice and consent of the United States Senate. They include members of the President's Cabinet as well as other subcabinet policy makers. There are five pay rates within the Executive Schedule, usually denoted with a Roman numeral with I being the highest level and V the lowest. Federal law lists the positions eligible for the Executive Schedule and the corresponding level. The law also gives the president the ability to grant Executive Schedule IV and V status to no more than 34 employees not listed. The schedule of public holidays in the United States is largely influenced by the schedule of federal holidays but is controlled by private sector employers who employ 62% of the total US population with paid time off. A typical work week has historically been 40 hours a week with a Saturday–Sunday weekend, although many professionals are currently expected to work 50 hours a week for fixed salary. On September 6, 1966, Title 5 was enacted as positive law by Pub. L. 89–554 (80 Stat. 378). Prior to the 1966 positive law recodification, Title 5 had the heading, "Executive Departments and Government Officers and Employees." Title 5 contains the Freedom of Information Act, as well as authorization for government reorganizations such as Reorganization Plan No. 3. The United States Statutes at Large, commonly referred to as the Statutes at Large and abbreviated Stat., are an official record of Acts of Congress and concurrent resolutions passed by the United States Congress. Each act and resolution of Congress is originally published as a slip law, which is classified as either public law or private law (Pvt.L. ), and designated and numbered accordingly. At the end of a Congressional session, the statutes enacted during that session are compiled into bound books, known as "session law" publications. The session law publication for U.S. Federal statutes is called the United States Statutes at Large. In that publication, the public laws and private laws are numbered and organised in chronological order. U.S. Federal statutes are published in a three-part process, consisting of slip laws, session laws, and codification. The Freedom of Information Act (FOIA), 5 U.S.C. § 552, is a federal freedom of information law that requires the full or partial disclosure of previously unreleased information and documents controlled by the United States government upon request. The Act defines agency records subject to disclosure, outlines mandatory disclosure procedures, and defines nine exemptions to the statute. President Lyndon B. Johnson, despite his misgivings, signed the Freedom of Information Act into law on July 4, 1966, and it went into effect the following year. Reorganization Plan No. 3 was a presidential directive submitted to the United States Congress on July 9, 1970 by President Richard Nixon establishing the Environmental Protection Agency (EPA) and setting forth the components of the National Oceanic and Atmospheric Administration (NOAA). The order consolidated components from different Federal agencies to form the EPA, "a strong, independent agency" that would establish and enforce federal environmental protection laws. Unlike other agencies such as OSHA, the EPA was not established by a single enabling act of Congress. The Executive Office of the President of the United States (EOP) is a group of agencies at the center of the executive branch of the United States federal government. The EOP supports the work of the President. It consists of several offices and agencies, such as the White House Office, National Security Council or Office of Management and Budget. 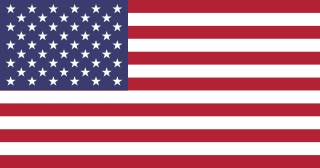 In the United States, a federal holiday is an authorized holiday which has been recognized by the US government. Every year on a U.S. federal holiday, non-essential federal government offices are closed, and every federal employee is paid for the holiday. Private-sector employees required to work on a legal holiday may receive holiday pay in addition to their ordinary wages. The Postal Reorganization Act of 1970 was a law passed by the United States Congress that abolished the then United States Post Office Department, which was a part of the cabinet, and created the United States Postal Service, a corporation-like independent agency with an official monopoly on the delivery of mail in the United States. President Richard Nixon signed the Act in law on August 12, 1970. The Code of Federal Regulations (CFR) is the codification of the general and permanent rules and regulations published in the Federal Register by the executive departments and agencies of the federal government of the United States. The CFR is divided into 50 titles that represent broad areas subject to federal regulation. The Federal Register is the official journal of the federal government of the United States that contains government agency rules, proposed rules, and public notices. It is published daily, except on federal holidays. The final rules promulgated by a federal agency and published in the Federal Register are ultimately reorganized by topic or subject matter and codified in the Code of Federal Regulations (CFR), which is updated annually. The excepted service is the part of the United States federal civil service that is not part of either the competitive service or the Senior Executive Service. It provides streamlined hiring processes to be used under certain circumstances. The Internal Revenue Code (IRC), formally the Internal Revenue Code of 1986, is the domestic portion of federal statutory tax law in the United States, published in various volumes of the United States Statutes at Large, and separately as Title 26 of the United States Code (USC). It is organized topically, into subtitles and sections, covering income tax, payroll taxes, estate taxes, gift taxes, and excise taxes; as well as procedure and administration. Its implementing agency is the Internal Revenue Service. The Office of the Law Revision Counsel of the United States House of Representatives prepares and publishes the United States Code, which is a consolidation and codification by subject matter of the general and permanent laws of the United States. The Office was created in 1974 when the provisions of Title II, sec. 205, of H. Res. 988, 93rd United States Congress, were enacted by Public Law 93-554, 88 Stat. 1777. The United States federal civil service is the civilian workforce of the United States federal government's departments and agencies. The federal civil service was established in 1871. U.S. state and local government entities often have comparable civil service systems that are modeled on the national system, in varying degrees. Title 11 of the United States Code, also known as the United States Bankruptcy Code, is the source of bankruptcy law in the United States Code. Title 6 of the United States Code is non-positive law title of the United States Code governing Domestic Security. Title 14 of the United States Code outlines the role of the United States Coast Guard in the United States Code. Title 17 of the United States Code is the United States Code that outlines United States copyright law. It was codified into positive law on July 30, 1947. The latest version is from December 2016. Title 19 of the United States Code outlines the role of customs and duties in the United States Code. Title 27 of the United States Code outlines the role of intoxicating liquors in the United States Code. Title 45 of the United States Code outlines the role of rail transport in the United States Code. A Title 42 appointment is an excepted service employment category in the United States federal civil service. It allows scientists and special consultants to be hired as part of the Public Health Service or Environmental Protection Agency under a streamlined process "without regard to the civil-service laws". It is named after Title 42 of the United States Code, which contains its legal basis, and is contrasted with Title 5 employees which are normal civil service appointments. ↑ "United States Code". Office of the Law Revision Counsel . Retrieved November 21, 2015. ↑ United States Code (1964). Washington, DC: U.S. House Committee on the Judiciary. 1965. p. 111. 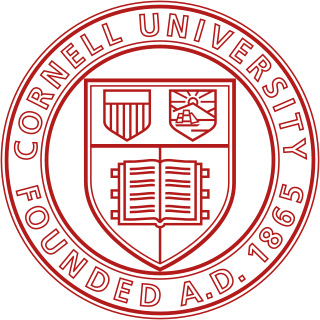 Cornell University is a private and statutory Ivy League research university in Ithaca, New York. Founded in 1865 by Ezra Cornell and Andrew Dickson White, the university was intended to teach and make contributions in all fields of knowledge—from the classics to the sciences, and from the theoretical to the applied. These ideals, unconventional for the time, are captured in Cornell's founding principle, a popular 1868 Ezra Cornell quotation: "I would found an institution where any person can find instruction in any study."